For as long as there has been a senior class, the tradition of senior Divrei Torah has been a strong one at Tarbut V’Torah Community Day School (TVT). Writing the senior Dvar Torah gives TVT graduates a forum for thinking deeply about the Torah and the Judaism they have discovered while studying at the school. Additionally, the experience enables seniors to offer an inspirational charge to their fellow classmates and peers. At the beginning of the school year, each student got a parashah (Torah portion), read it and developed questions about it. To deepen the value of this experience, TVT invited community rabbis and other educators to participate in what Rabbi Stuart Light, director of Jewish studies, described as “a unique community and relationship building experience for both our students and community rabbis/educators.” Four years ago, Rabbi Light created the three-hour session to give every TVT senior six minutes with a rabbi or master teacher to gain various perspectives on his or her parashah. The format is like speed dating, as students move from scholar to scholar to engage in conversation. 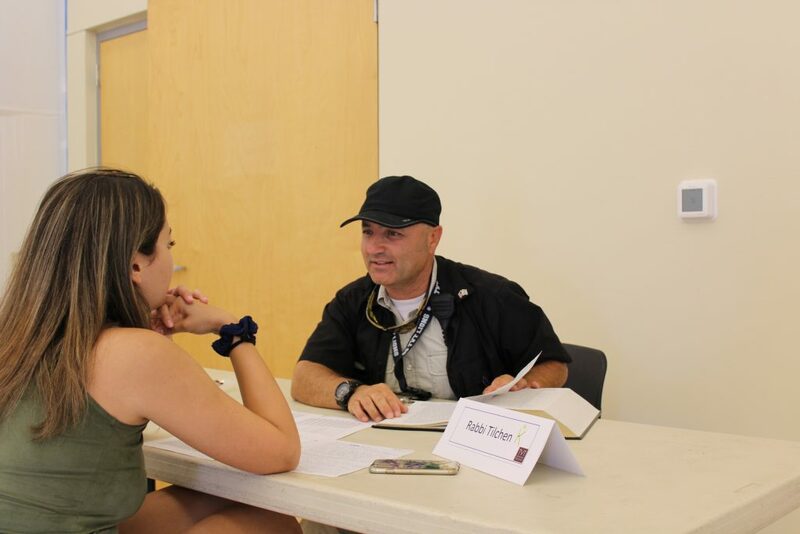 TVT’s Dvar Torah Speed Dating program was hugely popular with both the students and the scholars who participated in the special session on Tuesday, August 29. Students enjoyed the wide range of opinions presented by the scholars, and local rabbis and teachers were impressed by the knowledge and preparation of the students. 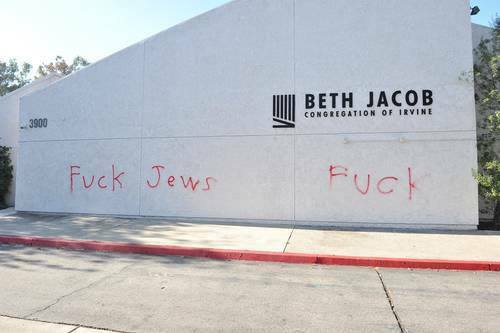 Participants, in addition to Rabbi Light, were: Rabbi Yisroel Ciner, Congregation Beth Jacob in Irvine; Rabbi Emeritus Stephen Einstein, Congregation B’nai Tzedek in Fountain Valley; Rabbi Rayna Gevurtz, Temple Bat Yahm in Newport Beach; Rabbi Peter Levi, Director of the Anti-Defamation League (ADL) of Orange County; Rabbi Daniel Levine, Orange County Hillel; Director of Congregational Learning Sue Penn, University Synagogue in Irvine; Rabbi Jim Rogozen, Head of the Lower School and 10th Grade Advanced Studies Teacher, TVT; Rabbi Bob Kirzner, Middle School Judaics and History Teacher, TVT; Jewish Studies Teacher Lee Weissman, TVT; and Shalom Shalev, Director of Security, TVT. 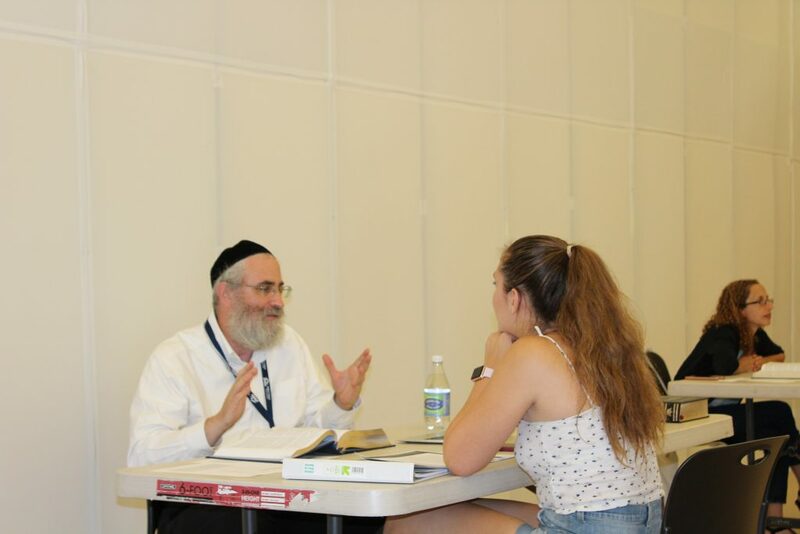 “Dvar Torah Speed Dating enabled students to see the parashah from different angles, create a page of ideas and understand that there are a lot of perspectives with a common element,” Rabbi Light said. Rabbi Ciner called the program “nice, sweet and engaging,” while Rabbi Gevurtz said that “the students have amazing questions.” Rabbi Einstein was impressed with seeing how the “cumulative effects of years of study have sunk in,” and Sue Penn enjoyed seeing students whom she taught as third graders ask mature questions about Torah.